The Corp of Engineers are putting on their annual Eagles Day! FREE ADMISSION! 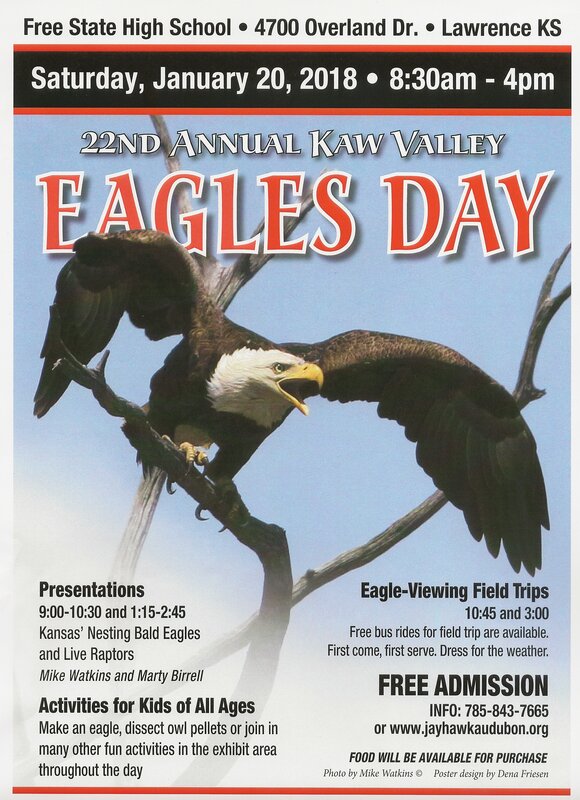 Presentations 9-10:30 a.m. & 1:15 - 2:45pm for Kansas' Nesting Bald Eagles & Live Raptors Eagle Viewing Field Trips - Meet at the North entrance of Free State High School (4700 Overland Drive, Lawrence) 10:45 & 3 p.m. 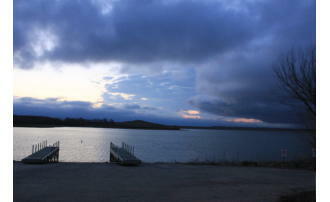 DRESS FOR THE WEATHER!! (FREE bus rides for field trip are available by picking up a ticket at the Audubon table on the day of the event.) FOOD will be available for purchase. 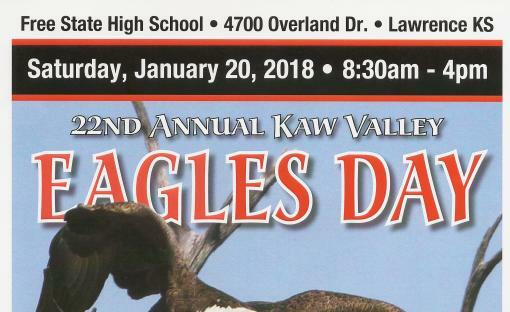 www.kawvalleyeaglesday.com Last minutes details call 785-393-3809.